Create an underground den where frogs, toads and newts can find safe lodging through the winter's chill. Amphibians like to hibernate in a cool (but not cold), dark and damp shelter, safely away from predators. Some frogs use the mud at the bottom of ponds, but many amphibians spend the winter on land. They do like to get a little way underground if they can, so give them a helping hand by creating their very own mansion, full of cavities galore. They’ll be able to sleep through winter’s worst excesses and emerge, refreshed and ready to go for a hectic spring of mating and spawning. Get out there on a warm, damp spring evening and you may see one of the inhabitants coming out and heading off to look for love. Short on time? 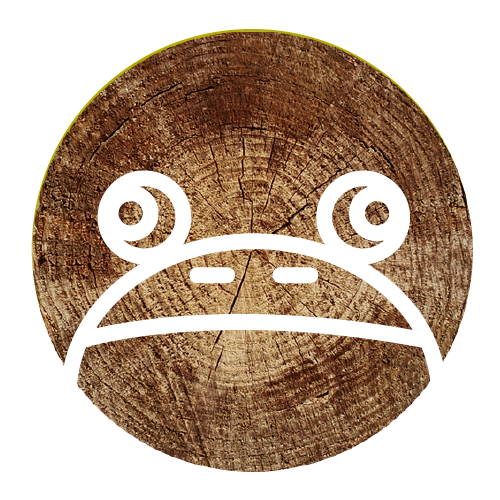 Buy a ready-made Frogilo. It's ideal for frogs, toads and even newts. Ideal for frogs, toads and even newts, this habitat is hand-made in frost-resistant ceramic. Choose your location. Basically you need somewhere where you can dig a hole in the ground about 30-45 cm deep where you can part-bury your collection of logs and stones. A shady or semi-shady spot is ideal. It doesn’t necessarily have to be near a pond, but within a hop and a leap of one is no bad thing. If you've already dug a damp ditch for diversity, you could use part of the bank you created when doing that! Dig a round hole with a flat bottom. Pile the soil to one side as you go. Once big enough, fill it with your assorted rubble and logs. The idea is that the bricks and rocks are stable enough that they won’t collapse and crush creatures within, but at the same time don’t pack it all down. Imagine you are creating a higgledy-piggledy underground maze. There has got to be a myriad of hidden winding corridors ranging from a few millimetres wide through to a few centimetres, all leading deep into the pile. Continue to pile material up above ground level – it is really useful to continue to build the pile into a low mound. To cap it off. If you've go some, put some builders ballast over the rubble and logs, followed by the soil back over the top. What you don’t want to do is close up all of the entrances - you still need to be able to see lots of gaps around the edges. You can pile the soil over the back half of the abode so that the front entrances are all clear of soil. Finishing touches. If you like, sprinkle a little wildflower seed over the soil on top of and around the edges of your mansion – amphibians will love their garden path being damp and sheltered. Or you could just add some branches and twigs for camouflage. Over time, rain and gravity will push some of the soil back down into the holes, so after several years you may need to create another home. But this one should last for a few seasons. Why not pop out with a torch on a damp evening in spring or summer to see if any residents are emerging? Amphibians like cool places to shelter. Here’s how to make a frog or toad hidey-hole in your garden – you don’t even have to have a pond.